The hzs60 concrete batching plant is a medium-sized concrete mixing station which has capacity of 60m3/h, and its investment is not high. For most people, there is no pressure. 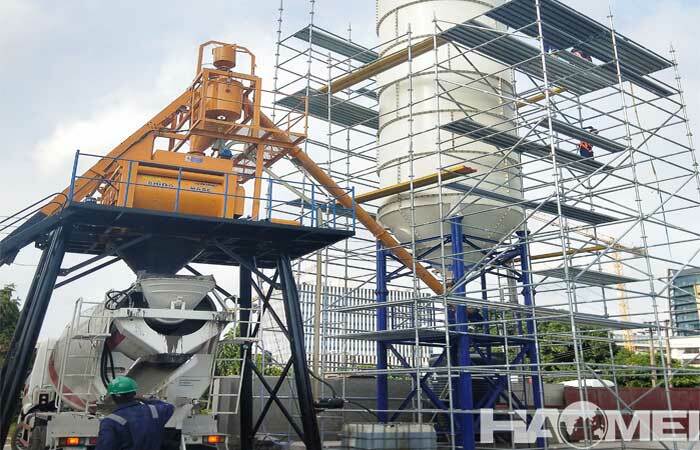 So hzs60 concrete mixing station is a good choice for investment. 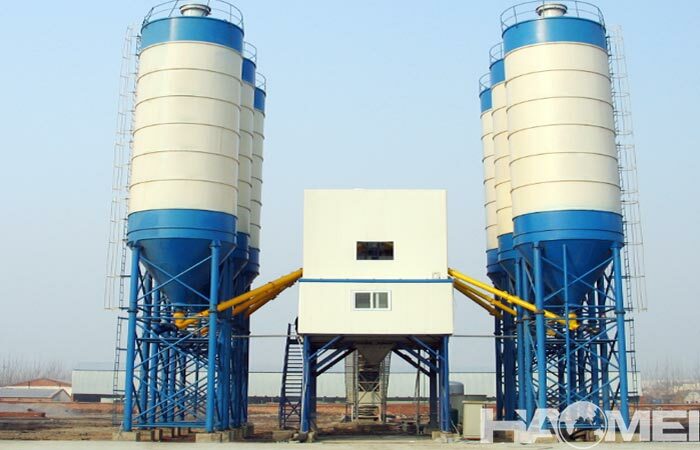 The hzs60 concrete batching plant can be used as commercial concrete batching plant or as engineering concrete batching plant. As medium-sized concrete batching plant, can the hzs60 concrete batching plant meet customer’s demand? We look at its output first, the theoretical productivity is 60m3/h. Under normal circumstances, the annual output is 100,000m3 to 150,000m3. It is already sufficient for small and medium-sized commercial cement manufacturers. Now with the market saturation, mini projects have become major investment aspects. 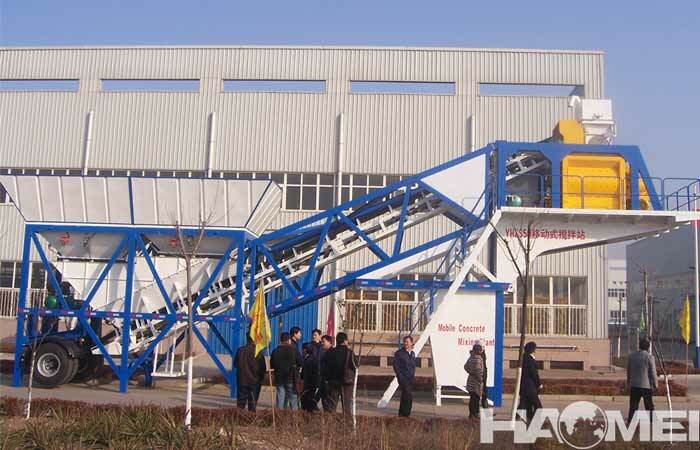 So that hzs60 concrete batching plants can meets the needs of most investors from the output. 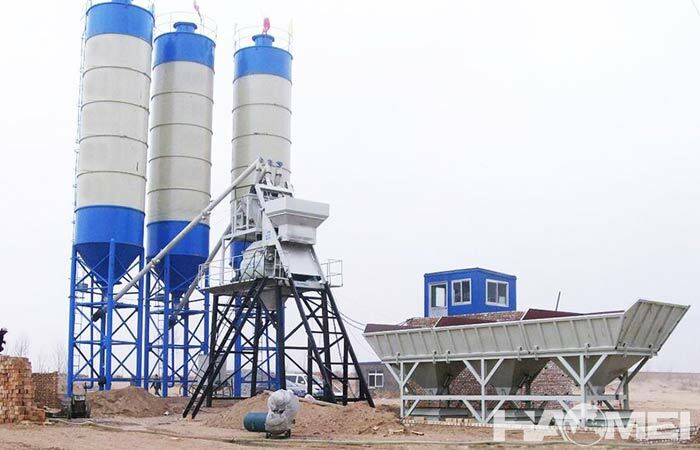 On the other hand, the investment cost of hzs60 concrete batching plant is not high and the price is relatively low, which is also the main reason for attracting customers. 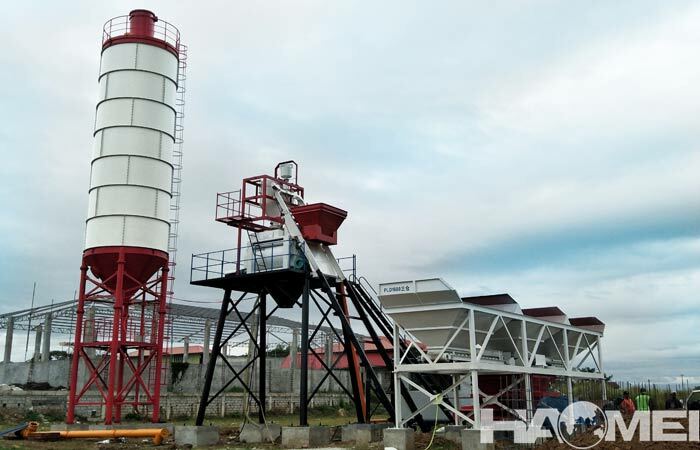 In addition to being used for producing commercial concrete, hzs60 concrete batching plants are mainly used for medium and small construction projects such as construction projects, bridge projects and railway projects. 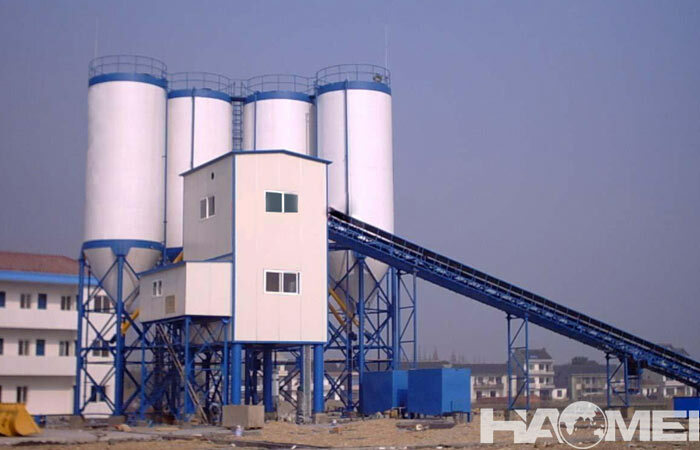 In order to meet the engineering requirements for concrete quality, hzs60 concrete batching plants are equipped with dual microcomputer centralized control rooms equipped with industrial control stations and computers, which can perform various operations such as ratio storage, data monitoring, drop setting, feeding time and sequence setting, etc. The equipment has high degree of automation and can complete high-precision rationing requirements and provide high-quality engineering concrete for the project.